Life insurance may be one of the most important purchases you’ll ever make. In the event of a tragedy, life insurance proceeds can help pay the bills, continue a family business, finance future needs like your children’s education or even protect your spouse’s retirement plans. 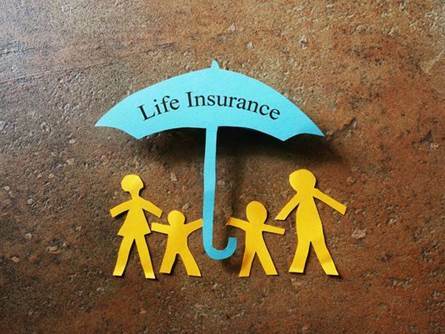 There are several types of life insurance. How much you need and what type is right for you depends on your needs and circumstances. Term life insurance provides coverage for a specified amount of time, or a term. The length of your policy’s term depends on the life insurance product you select. i.e. 10, 15, 20 or 30 years. Is term life insurance right for you? You may want to consider the following things before purchasing term insurance. Term insurance is usually the least expensive life insurance. Generally, you can covert term insurance to permanent insurance with proof of insurability. Term insurance solves a temporary need, such as mortgages and college tuition. The guaranteed premium during the specified period falls in between our traditional level term and whole life plans. The yearly renewable term premiums to age 95 following the specified level period are 65% to 70% less than those in the traditional term plans. CVT accumulates cash value that can be surrendered for cash, applied to purchase paid-up term to 95 or applied as a single premium toward the purchase of a single premium whole life (SPWL) plan. Cash Value Term fills a niche between whole life and traditional level term. CVT costs less than whole life insurance, while providing better, more affordable options for maintaining coverage beyond the specified period and cash surrender values when coverage is no longer needed than traditional level term. Whole life insurance does not end after a specified term. As long as you pay the premiums, your beneficiary will receive a death benefit when you die. Unlike most term insurance policies, a whole life insurance policy builds cash value accumulation. It can be initially more expensive than term life.